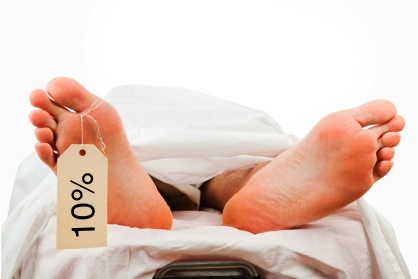 Ten percent dead? What? Now before you stop reading, hear me out. It’s interesting if you stop to think about it: dead or alive. Pretty much an all or none proposition. Right? Well, maybe not. What about instead of being completely alive, you were partially dead? What would that feel like? What might some of your symptoms be? While we all can understand the concept of being alive, and all have a firm grasp on the concept of being dead, the notion of being somewhere in between might be a new one for us. Oh What a Headache it’s Been! Did you know that chiropractic can be extremely effective at treating headaches? Not a lot of people do, and from the looks of things, that’s just fine with some. However, a much anticipated headache evidence report released by Duke University earlier this year might help to reverse this troubling trend. Ironically though, with the events that led up to this point, I don’t think we as a chiropractic profession were expecting to contend with a headache of our own.